On History, Culture, and Art | …not necessarily in that order. Tomorrow (Wednesday the 6th), this 1969 David Hockney painting comes up for sale at Christie’s auction house in London. 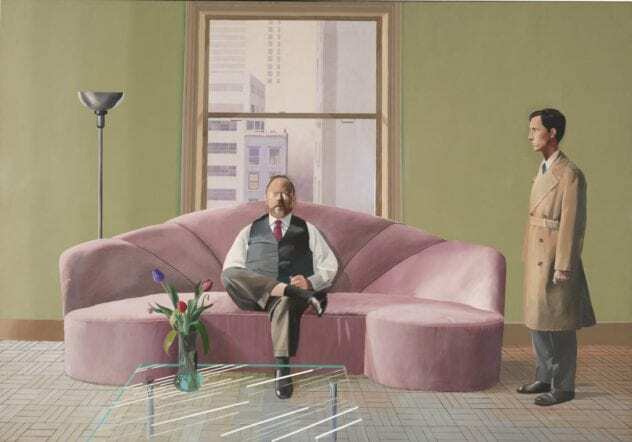 It’s one of Hockney’s best works and it portrays one of the most important figures in the art world in the second half of the 20th century. My show this week on KWBU-FM looks at the artist, the painting, and the subject. There was once a time when the Marx Brothers and Verdi could occupy the same cultural terrain. My piece from last week on KWBU-FM. Last week I talked about the possibility of French museums returning pieces of art to African countries from which they came. This week along the same lines I look at an even older controversy: pieces of the Parthenon in Athens that have been in the British Museum in London since an English nobleman made off with them in the early 19th century. As most of you know, my weekly column in the Waco Tribune-Herald came to an end last spring. Over the summer, I began doing a short weekly show on our NPR station here in Waco that is basically a radio version of the column. Since then, I sporadically sent out the link via email, but never hit a rhythm in which I was doing it each week. In the New Year, however, I’m returning to the practice that happily kept me in touch with so many of you throughout the years of my column. Here’s this week’s show, asking whether big museums have any obligation to give pieces of art back to places they came from. It seems perhaps that a growing number of politicians, at least, think such pieces should be returned. Along with the patriotic parades, fireworks, and cooking hot dogs on the grill, celebrating the Fourth of July always makes me think of four distinctively American paintings. Three of them are, perhaps, to be expected. 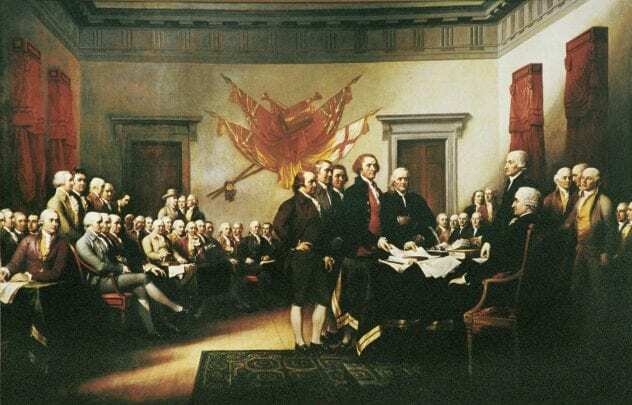 The first one is John Trumbull’s famous painting of the Declaration of Independence being presented to the Continental Congress. The second one is Emanuel Leutze’s stirring scene of George Washington crossing the Delaware River during the Revolution. And the third is John Singleton Copley’s 1768 portrait of a pensive Paul Revere. And the fourth one—we’ll come back to that. John Trumbull, Declaration of Independence, 1817-1819. US Capitol Rotunda. Ironically, the holiday also makes me think of the work of the great Russian abstractionist Kazimir Malevich. Of all the artists of the Russian avant-garde, none was more serious than he about there being a transcendent spirituality in art, and nobody pressed a minimalist kind of abstraction further. He worked his way through different styles before really hitting his stride around 1915. 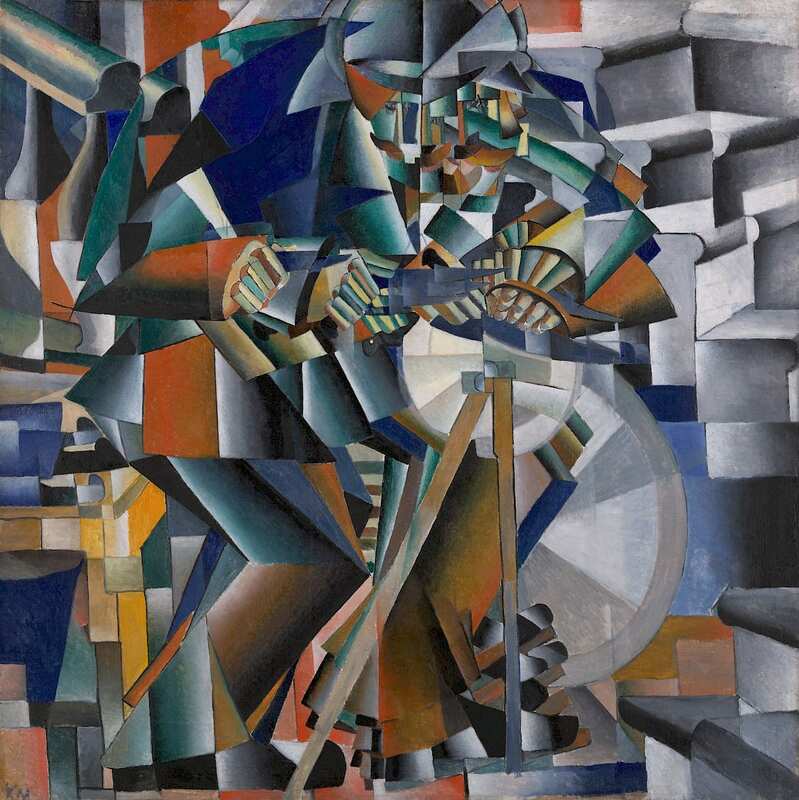 Kazimir Malevich, The Knife-Grinder, 1912-1913. Yale University Art Gallery. But suddenly the last paintings he did toward the end of his life were heavy-handed pictures of Soviet peasants tilling the soil. The state was telling him what he had to paint. Many of the generation of abstract painters to which Malevich belonged had to flee the Soviet Union for their lives. Under Josef Stalin, Modernism was condemned as degenerate and those painters who didn’t fall in line were shipped off to a Siberian gulag or simply shot. After being interrogated and tossed in jail for two years, Malevich avoided a grimmer fate by abandoning the abstraction about which he felt so strongly and following the line of Socialist Realism, the only style that met with official approval. 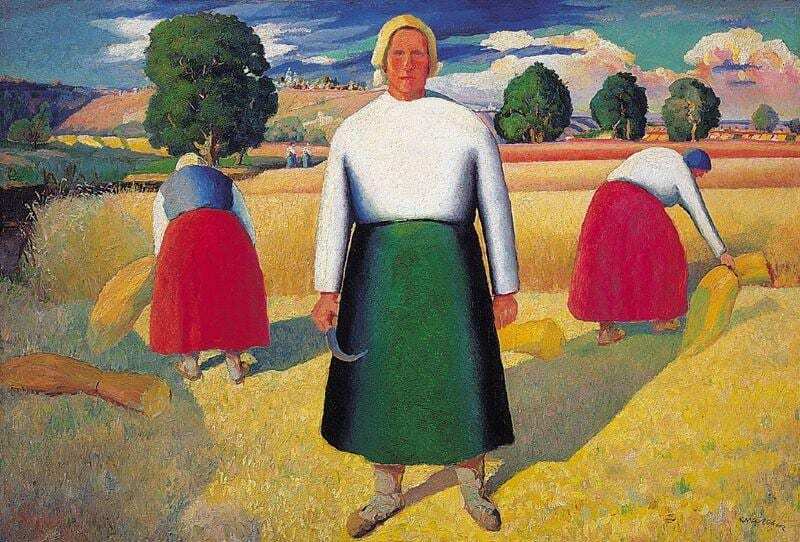 Kazimir Malevich, The Reapers, 1929. Being forced by the government to abandon his creativity and instead serve the ideals of the state or forfeit his life was a horrible abuse of both art and artist. This sad culmination of Malevich’s career is the reason that I think of the fourth painting on my Fourth of July list: Jackson Pollock’s “Lavender Mist,” my favorite of his controversial “drip” paintings. 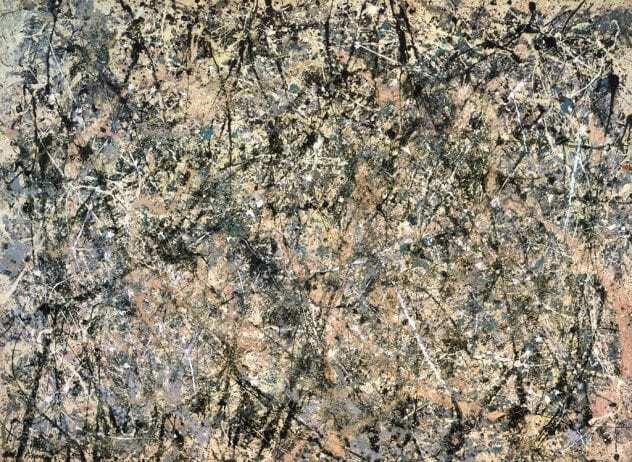 While Pollock wasn’t political with his art, the freedom evident by the spattered paint on his huge canvases is a testimony for me of the absolute value of American freedom. We’re all familiar with the occasional controversies over censorship that sometimes erupt when government and art nudge up next to each other here in the United States. Most of us have also seen a painting or two that we think is an affront to decency, good taste, or art in general. But such episodes aside, the freedom that American artists enjoy is another cause for us to celebrate the birth of the United States on July 4th. Jackson Pollock, Number One, 1950 (Lavender Mist), 1950. National Gallery of Art, Washington DC.